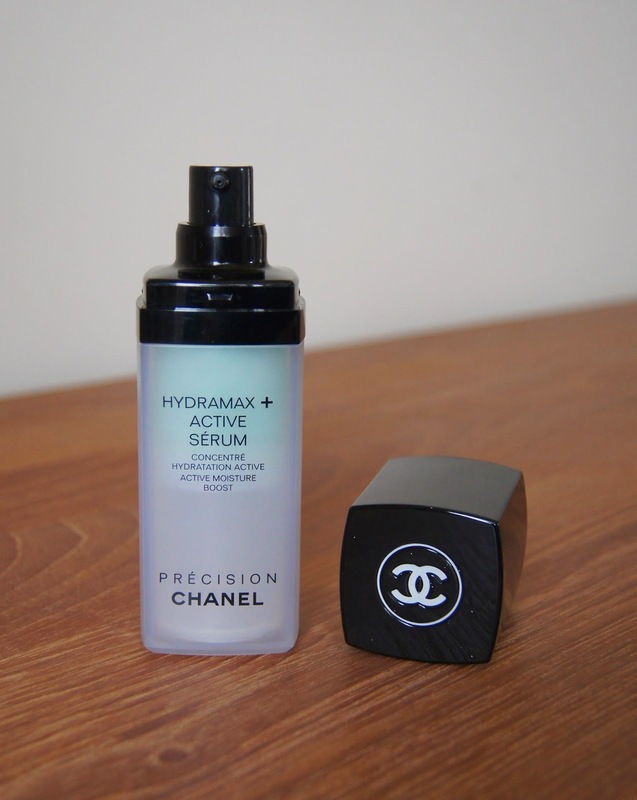 Now, it seems as though this particular serum, the Hydrammax + Active Boost Serum has been ditched by Chanel, in favour of the more recent Chanel Hydra Beauty formula. Whether this is the same product, I'm not entirely sure, as I haven't tried the latter. I picked up this particular bottle on my return from Tunisia in the duty free section of the airport. As soon as I clapped eyes on it, I had to stock up. I've searched high and low everywhere else, but to no avail! This blue serum smells gorgeous, so fresh and clean. It has a light and refreshing gel texture and effortlessly glides on to the skin, before rapidly sinking into it. No greasy film is left on the surface at all, skin is instantly plumped and feels hydrated, without being overloaded. One pump is all you need to cover the entire face and I smooth it everywhere, even though my skin is oily/combination. Working on dehydration, as opposed to dryness, it is exactly what my skin needs to keep it tip top and doesn't break me out, like some heavier oil based serums can. Ceratonia PFA, the active ingredient within the serum, dramatically increases the moisture levels in the skin, when needed. The result is skin that is left feeling comfortable, instead of drowned in moisture. 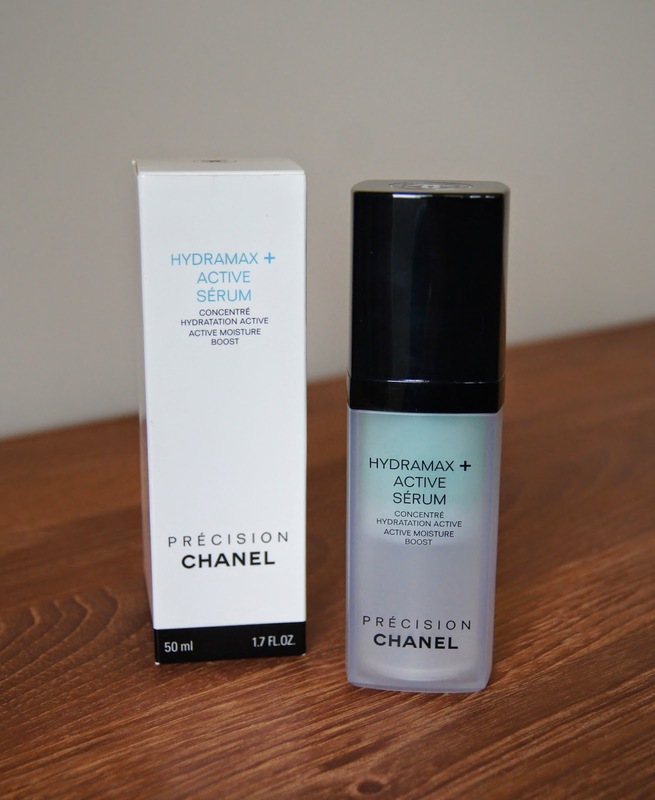 I have definitely noticed that my skin is a lot clearer since using this serum. As my thirsty skin is getting the moisture it needs, it doesn't need to overcompensate by producing as much oil as usual. Whenever my skin is acting up and gets irritated, this serum helps to calm any redness and stop it from drying out. All Chanel packaging is sleek and stylish, what else would you expect, really? This serum is no exception! The pump bottle is hygienic, means you don't waste the product inside and gives you the perfect amount for a single application. Through the translucent plastic, you can see how much is left, allowing you to stock up when you are running low (which may be problematic if it's no longer available!). As it is plastic, the bottle isn't heavy and is perfect for traveling. What do you think of Chanel skincare?